The government has said that under GST, the taxpayer will be required to file only one return every month, while the other components will get auto-populated. 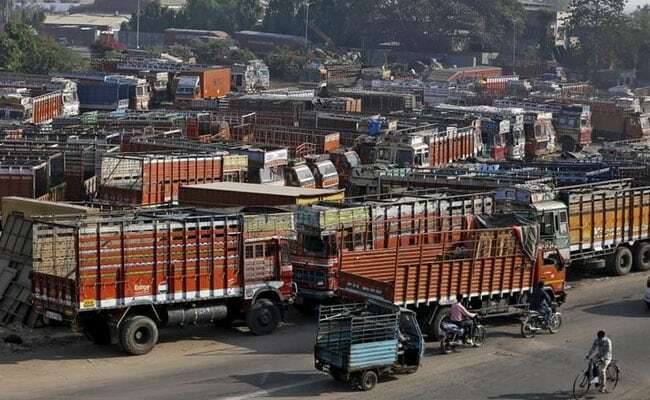 As GST or goods and services tax comes into force, the Central Board of Excise and Customs has simplified the process of filing of returns under the new indirect tax regime. 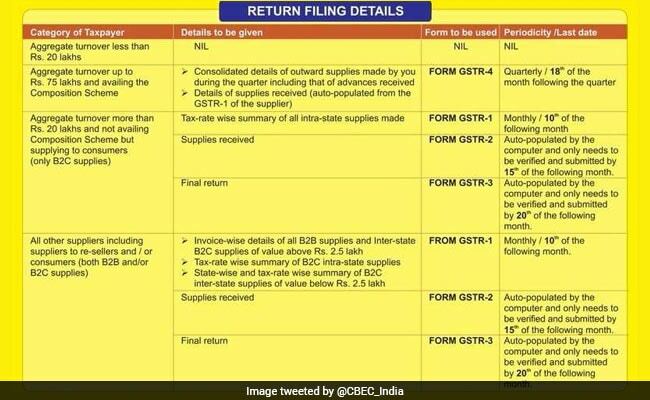 Terming the online process of return filing "simple and ease", the CBEC, under the revenue department, said: "One simple return with auto-populated components not only makes the process smooth but also makes the experience stress free. The ease of compliance is even more for small taxpayers." The government has also said that the taxpayer will be required to file only one return every month, while the other components will get auto-populated. Various departments under central government are working towards a seamless transition to GST. The CBEC further said law has provided for a low compliance burden on the taxpayers and the government is committed to further lessen the burden by creating facilitation centres, GST practitioners, GST Suvidha providers, an online utility for return filing and application interfaces. On invoices to be filed under GST, it said that only suppliers to resellers (i.e. B2B suppliers) not under the composition scheme have to file invoice-wise details, not every taxpayer. A composition scheme (to pay tax at a flat rate without input credits) is available to manufacturers and service providers having an annual turnover of up to Rs 75 lakh. The composition scheme is optional. The Central Board of Excise and Customs has explained different forms - Form GSTR-1, Form GSTR-2 etc. - and deadlines for filing of returns under GST. To make the transition into the new indirect tax regime seamless in the first two months, the Central Board of Direct Taxes said: "Return filing process has been simplified and a simplified FORM GSTR-3B, containing only summary details, has been provided for all classes of tax payers for acclimatization of the taxpayers with the new GST tax regime."